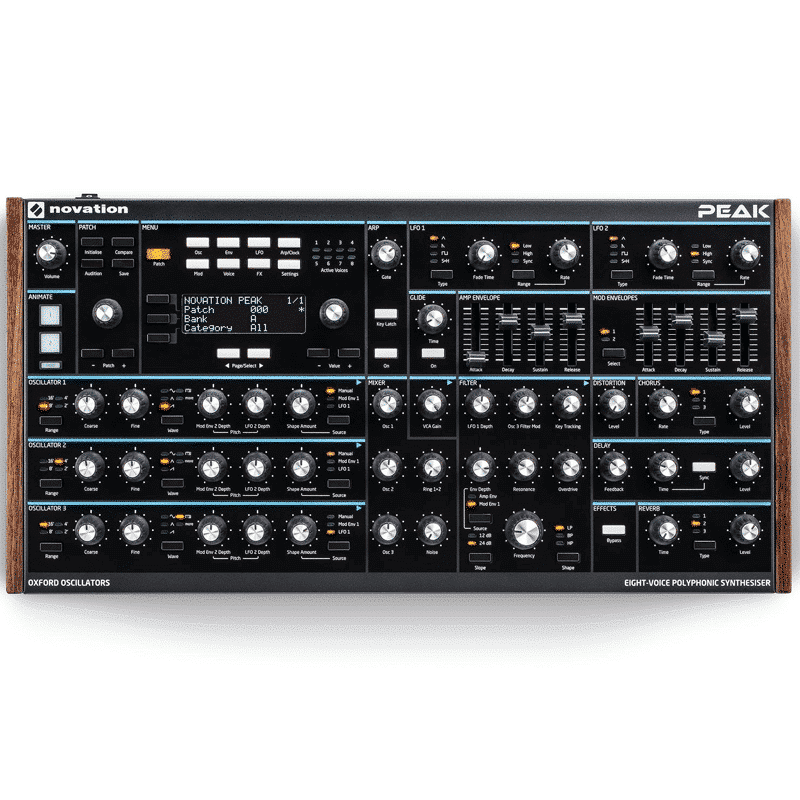 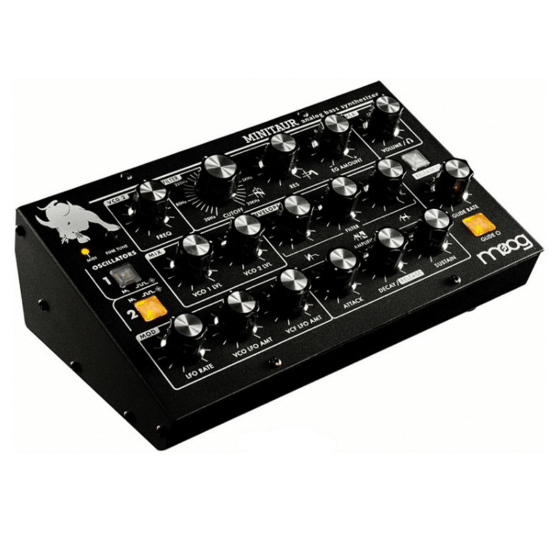 Moog synthesizers have created some of the most iconic sounds in modern music, from ground-swelling bass sounds to ripping lead sounds and beyond. 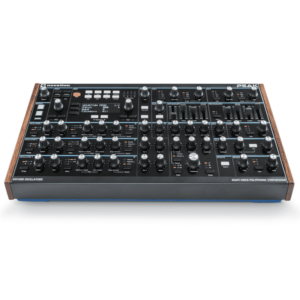 The Minitaur analog synth module gives you two oscillators with square and sawtooth waveforms, and the legendary Moog filter section – all you need to create blistering analog synth sounds with classic Moog character. 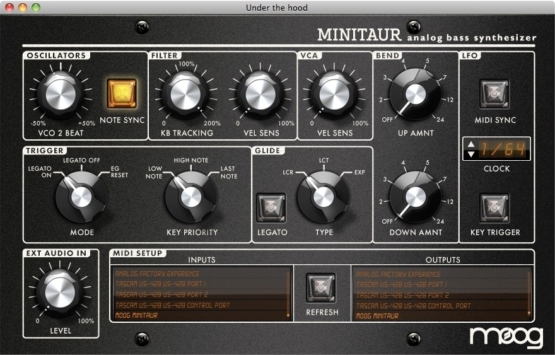 The Minitaur’s one-knob-per-function layout makes creating and tweaking unique sounds on the fly easy. 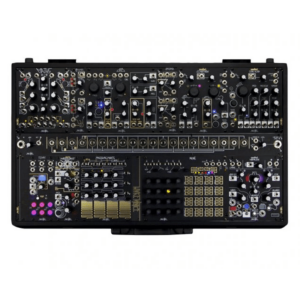 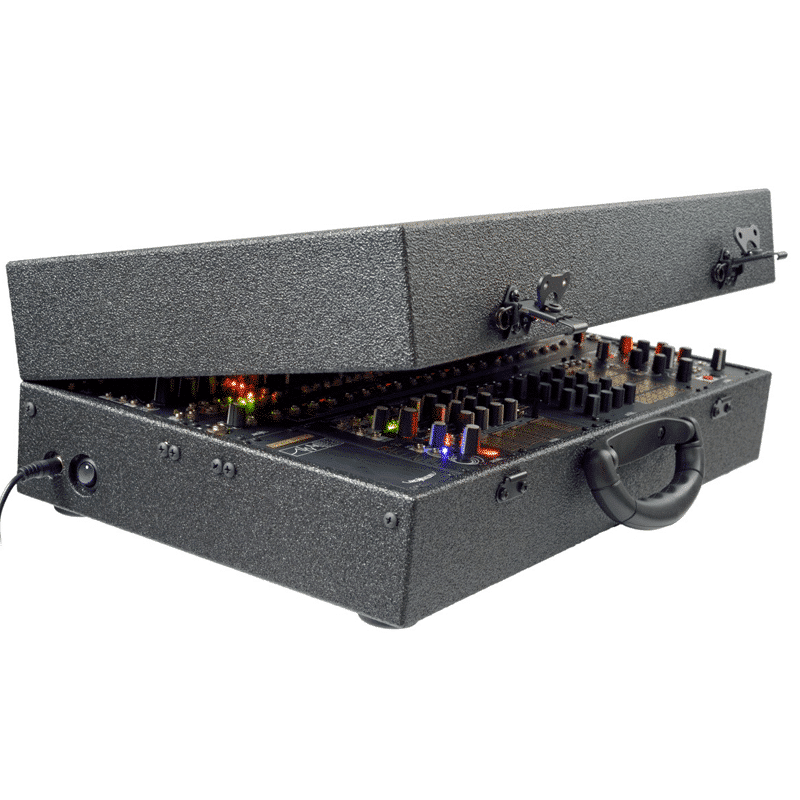 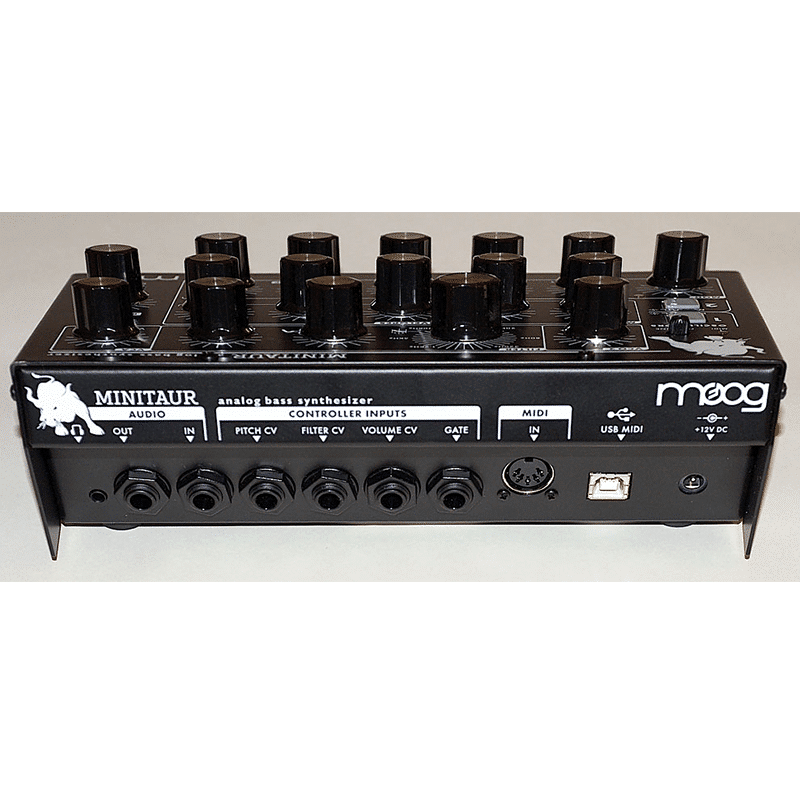 The compact design of the Minitaur analog synth module makes it an exceptional addition to any live performance rig or DJ setup. 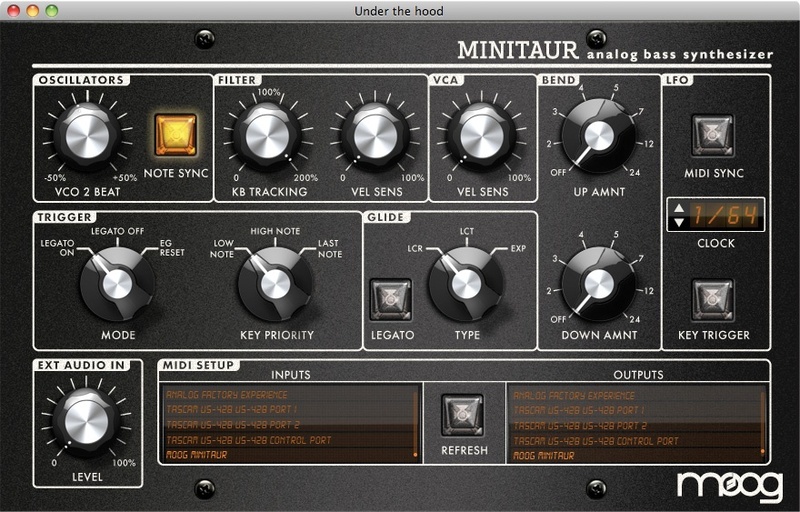 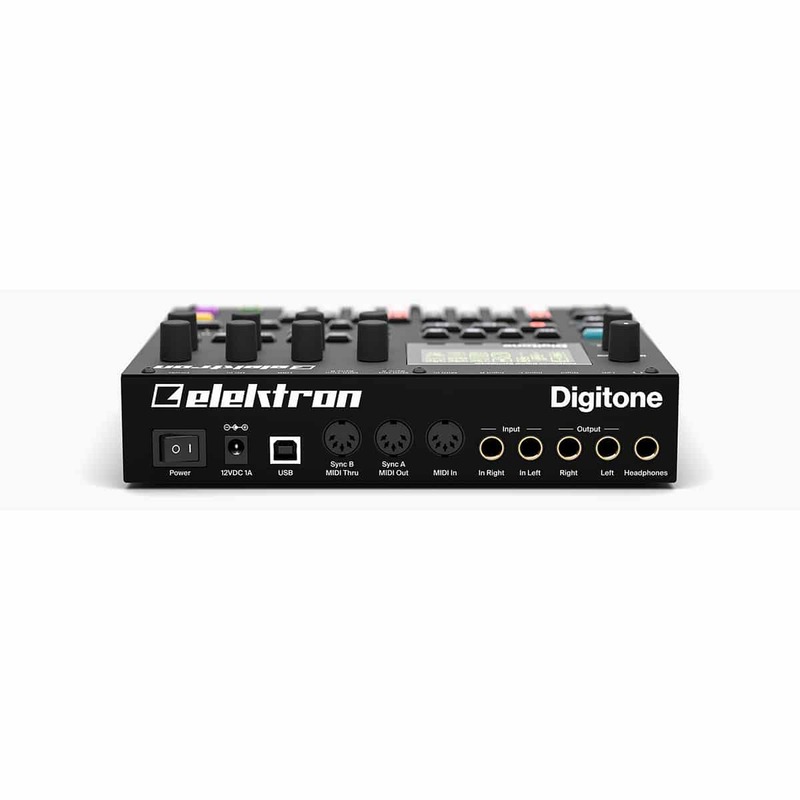 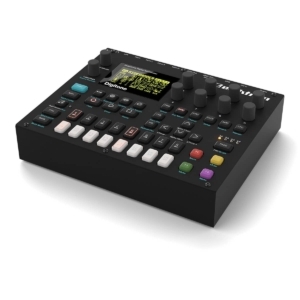 You can trigger the analog goodness of the Minitaur via MIDI (from your controller keyboard or sequencer), or via CV inputs (from other CV-equipped synth gear), so it’s easy to integrate into your existing system. 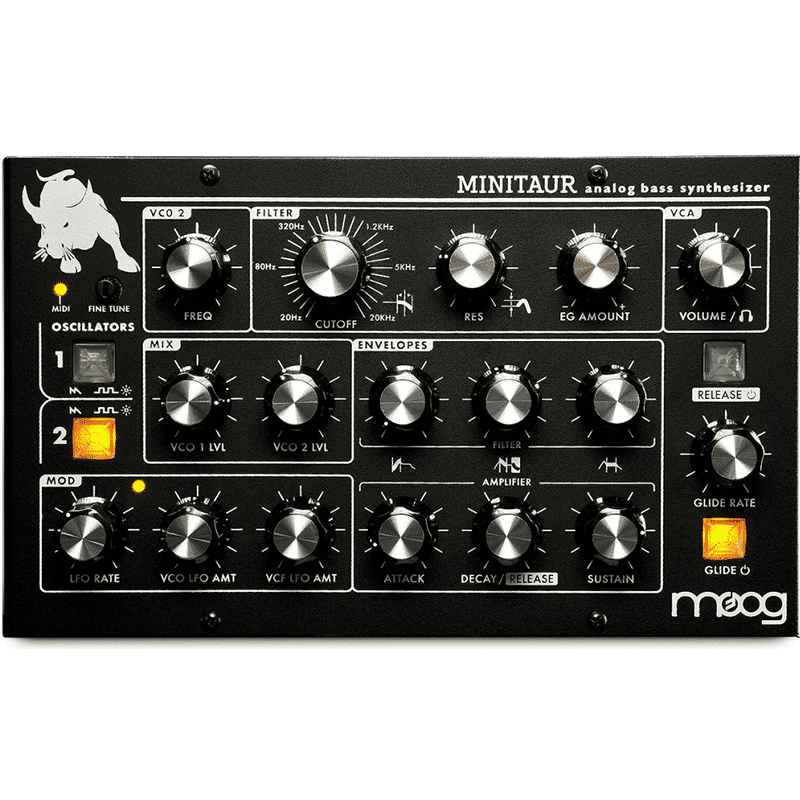 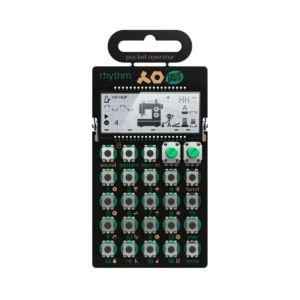 The Minitaur’s sound is huge, but the synth module itself is the perfect size to fit in a backpack or laptop bag.